a) I love ranking things — whether it be NFL wide receivers or pizza toppings. b) I love movies, and it’s the most relatable form or entertainment in our society. Even if you prefer to spend your free time doing other activities, everyone has seen their share of movies. Everyone has their favorites, and I am no exception. So let’s get right to it! It’s a Wonderful Life (1946) – My favorite Christmas movie, and an all-time classic. American Beauty (1999) – A plastic shopping bag has never looked so beautiful. Gladiator (2000) – This had many of my favorite fight sequences on the silver screen. Catch Me if You Can (2002) – Hanks plus Leo equals cinema magic. Forgetting Sarah Marshall (2008) – Probably laughed harder the first time watching this movie than any other in my life. I am not typically a fan of the “Western” genre. 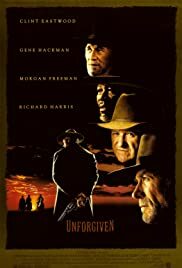 However, what Clint Eastwood did in this movie — both as a director and as a leading man — is nothing short of remarkable. The movie itself is shot beautifully. And the journey you’re taken on as a viewer is quite the trip. The scene towards the end where Eastwood ends his sobriety by picking up a bottle as someone talks about his past still gives me chills. Is it the most famous or most popular Pixar movie? No. 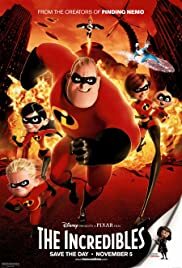 But watching The Incredibles for the first time was a life-changing experience for me. As I first watched it in my early 20’s, I remember it being the first animated film that I felt was written primarily for adults, with just a few scenes thrown in for children. It was even nominated for Best Screenplay at the Oscars that year! Before all the sequels… Before the character became a caricature in our culture… there was just a regular guy who was given a chance. 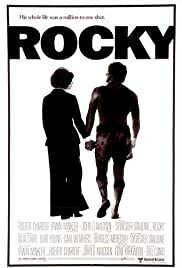 The original Rocky is such a remarkably made movie — and the story behind it is even more remarkable. (Read here.) 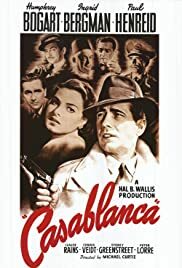 Among all the movies listed on this blog, this is the first one I remember seeing. I obviously still love it to this day. By simply mentioning this movie, I am violating the first two rules of Fight Club. David Fincher is one of my most favorite directors (Gone Girl, The Social Network, Seven, etc. ), and this was his masterpiece. Throw in A+ performances from Brad Pitt, Edward Norton, Helena Bonham-Carter, and yes, even Meat Loaf (?!? ), and you have a timeless cult classic. The SciFi genre has never been my forte. I just don’t *get* movies like Star Wars or Lord of the Rings. 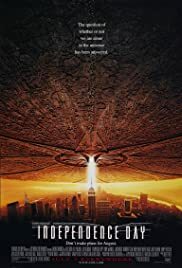 Even your typical alien movies don’t do it for me. But there’s something about Independence Day that tickles my fancy. Maybe it’s the lines. Maybe it’s the story. Or maybe it’s the random humor thrown in. But there probably isn’t a movie that’s more *fun* to me than this one. 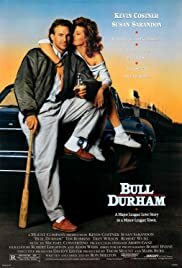 Bull Durham is the perfect marriage of sports and comedy and is an absolute treasure. Ron Shelton wrote and directed this movie. Shelton played for several years in the minor leagues which explains the tremendous authenticity behind this film. As a major baseball fan, it’s why I always prefer this movie over its counterpart, Major League. Count me among those who say Die Hard classifies as a Christmas movie. But aside from that, it’s my favorite action movie of all-time, and it’s not particularly close. Start to finish this is edge of your seat entertainment. John McClane makes for one of the better unexpected heroes. And Hans Gruber – played by the late Alan Rickman – is one of the better villains in recent cinematic history, elevating this film even more. This movie is great. This movie is great. This movie is great. This movie… (see what I did there?) 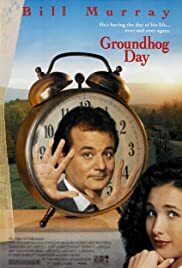 The Groundhog Day concept has been imitated often but has never been close to being duplicated. I watch this movie every year. (I’ll let you guess what time of year that is.) And I laugh at something new every time. I consider it pure comedic gold. I love this movie so much that I wrote a song and created a montage for it in college. (I also had a poster hanging in my college dorm room.) 10+ years later, there is no other movie that comes close to matching my love for this one. It’s a movie about perseverance. It’s a movie about payback. But mostly it’s a movie about friendship. One quick funny story about this movie: I grew up watching it on cable TV. 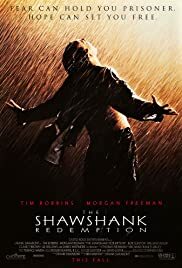 (SPOILER ALERT) I always thought the movie was over when Andy escaped prison because it would immediately go to commercial break. It wasn’t until maybe the 7th time I watched this movie that I realized there was an extra 30 minutes of content that follows that scene. It was like discovering a whole new movie!! !